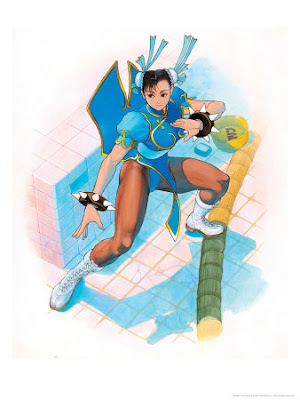 Chun Li is one of the best characters of video games ever. I've been playing with the character through several versions of Capcom's fighting game series. This character has been great in all of her incarnations. 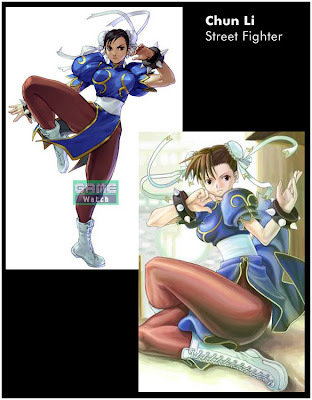 Fortunately there are several versions of Chun Li floating around for MUGEN. My favorite Chun Li move is her lighting kick. It's really fun messing up my opponents with it. I have found a total of 4 versions of Chun Li for MUGEN. I enjoy using Chun Li. The two best versions I have are Dark Chun Li and Alpha Chun Li. If you know of more version or know who made trhese please leave a comment. Thanks! the not original versions are harder to track. Me too, I have most of them, they integrate perfectly in the Marvel/DC World.